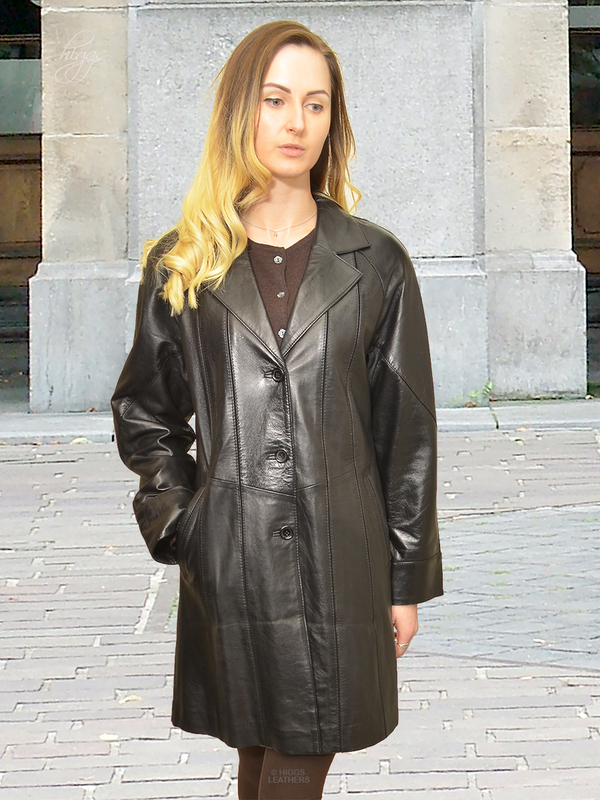 Classic easy fitting lightweight 3/4 length women's Black Leather jacket, made from softest Lamb Nappa skins. Straight cut body with revere collar and Raglan sleeves. Delightfully detailed with narrow inserts of Black suede that runs down both sides of the front of the coat. Comfortably placed slightly slanted outer pockets. One only available in Black and also one in Dark Brown, both size 34" bust. Coat length approx. 35" (88.9 cm).